Trek spent nearly a decade with the United States Air Force as a decorated Military Police Officer and Instructor. A formally trained educator and graduate of the USAF Air University College for Enlisted Professional Military Education; he has over 13,000 hours of instruction between his Military and Civilian duties and holds a nationwide Occupational Instructor certification and an Instructor of Military Science and Technology degree as a result. Trek is a licensed and bonded Professional Investigator in the state of Michigan, a graduate of the Federal Criminal Investigator Training Program, an Assistant Instructor for Greenside Training out of Arizona and Centrifuge Training of Texas, co-owner of the Midwest Threat Assessment Centers of Michigan and Indiana and founder of the Northern Woods Training Facility. 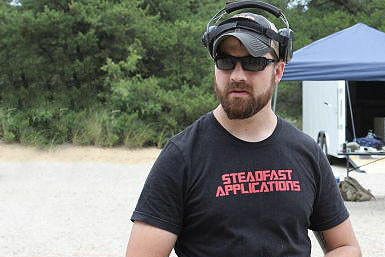 When not teaching, Trek writes for publications such as RECOIL, Breach Bang Clear, and Monderno, discusses training and 2A issues on podcasts such as Practically Tactical, This Week in Guns, Civilian Carry Radio and is also a proud supporter and volunteer for the Brian Terry Foundation. Needless to say, Trek has no free time much to the chagrin of his beautiful better half. 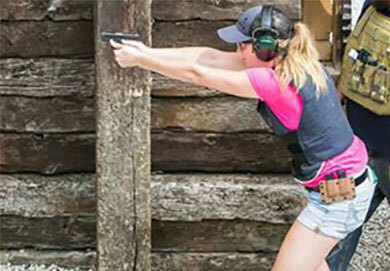 Between shooting and training as a hobby and a previous marketing job at Trijicon, Allison has been involved in the firearms industry since 2012. With her bachelor's degree in Graphic Design, you can typically find her behind the computer in all things MDFI. She freelances within the industry and provides all of MDFI's marketing materials, website and admin duties. Allison spends a good portion of her time fixing Trek's Microsoft Paint advertising attempts. Tim has been involved with firearms for more than 10 years that started as a hobby and eventually turned into a way of life. 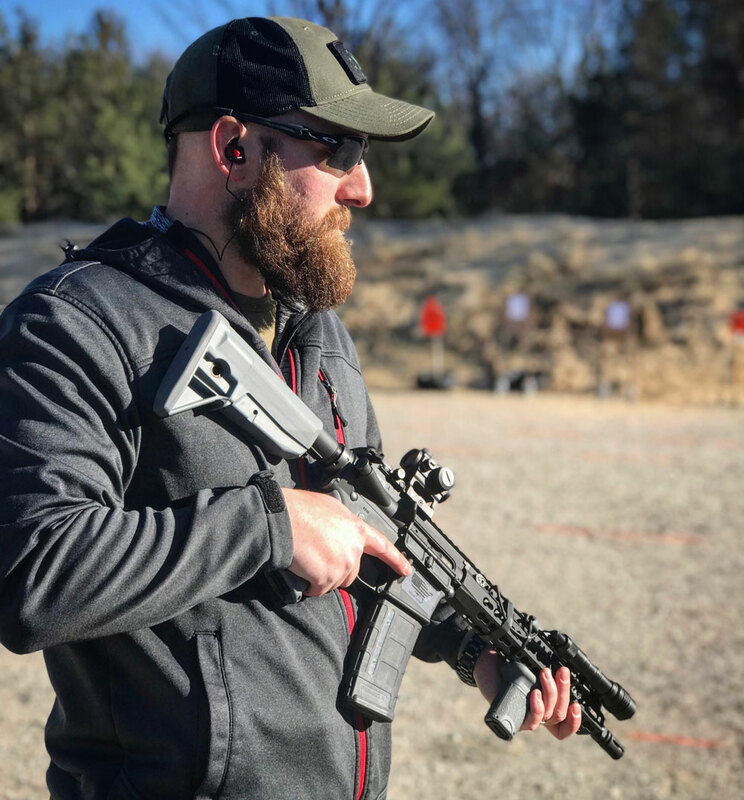 Tim developed his passion for instructing during his time as a Non-Commissioned Officer in the US Army Infantry where he saw a void in practical firearms training. On top of his time in military service, he has worked in the private security sector doing a myriad of duties. 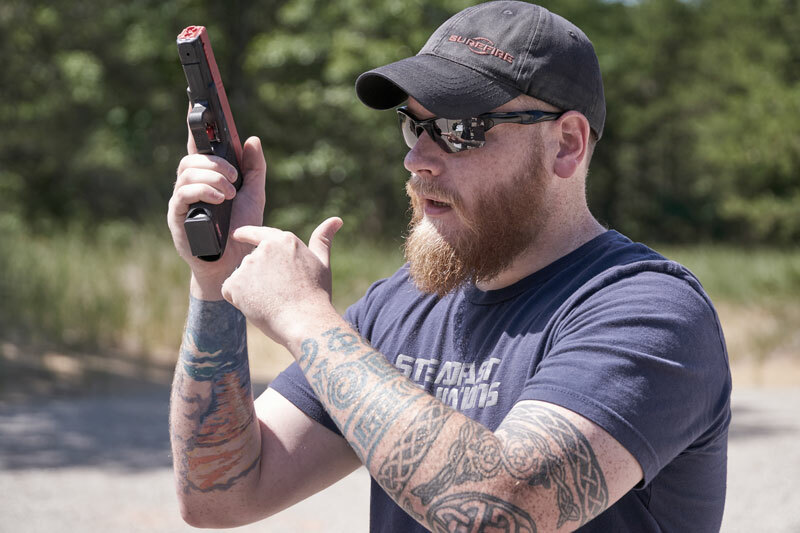 Tim is an adamant concealed carry advocate, a spontaneous singer, and an active participant in several shooting sports, such as IDPA, USPSA, and 3-Gun. Brandon is a man with not much free time on his hands but he always has time for teaching. 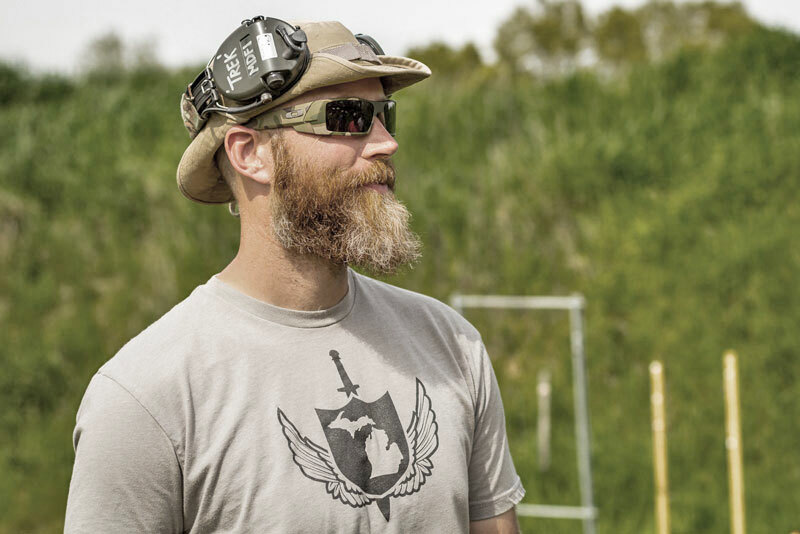 As a U.S. Army combat veteran with 6 years of active duty under his belt, Brandon now fills his time as Squad Leader and Firearms Instructor for his National Guard company, helping his family run Long Range Archery and Firearms of Holland MI, and being an avid hunter, shooter, and outdoorsman. Brandon can often be found providing incredible backup vocals for his good friend Tim. After spending 4 years in the Marine Corps as an Infantry Rifleman, Shane returned to his home state of Michigan. After earning his degree in Criminal Justice, he attended the Wayne County Regional Police Academy where he graduated as class Captain. Since then he has achieved certifications as MCOLES firearms instructor, Krav Maga instructor, Taser instructor, American Heart Association- Basic Life Support instructor, Certified Glock Armorer and VCQB instructor. Shane currently works as a P.A. 330 Security Police officer and assistant training coordinator in a large hospital based in South East Michigan. When not on the line with MDFI, Shane offers free classes on how to look intense. Steve has been involved in law enforcement since 2003, currently as the Sergeant of Range for a large Michigan Reserve division. 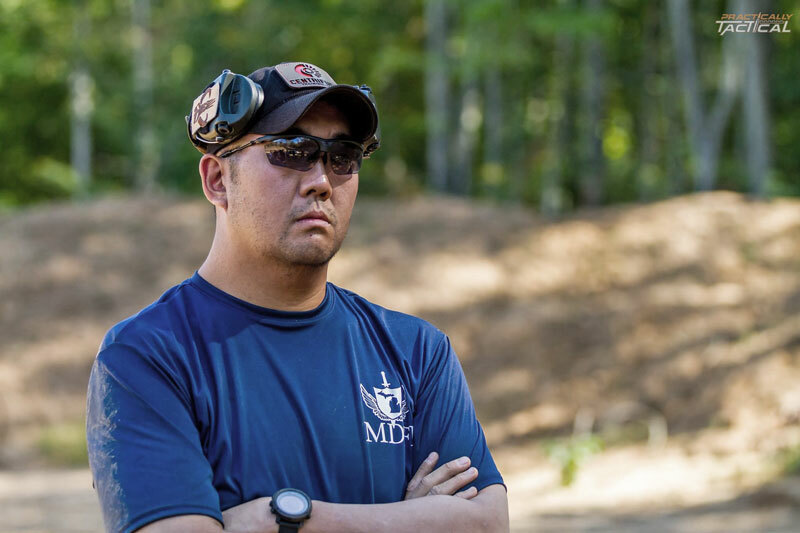 As a MCOLES Certified Firearms Instructor, certified UTM Instructor, responsible firearms owner, random flash-mob dancer, and father of two, Steve is a valuable asset to the MDFI team who works to equip students with skills to keep them safe and informed. Mark has worked in the law enforcement realm since 2008. 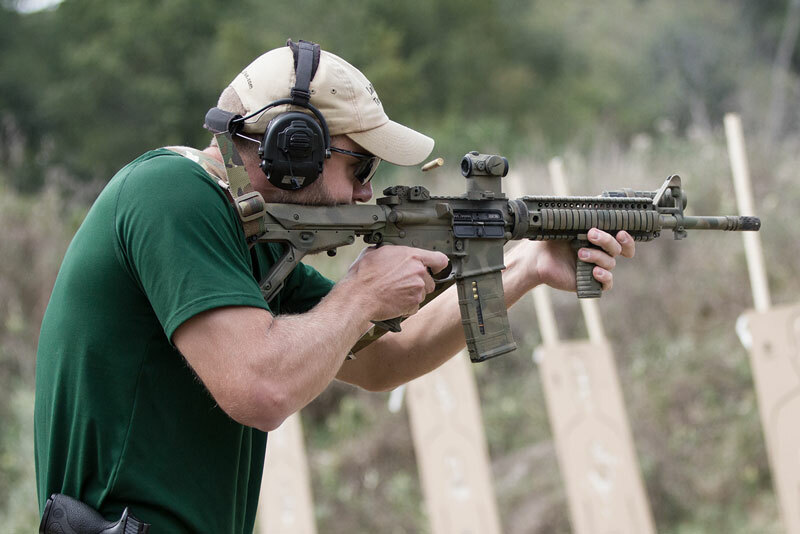 On top of his normal duties, he is also a certified firearm and defensive tactics instructor and a factory-trained armorer on multiple weapon platforms. In his free time he enjoys shooting 3 gun competitions, spending time at the range and candle lit dinners. 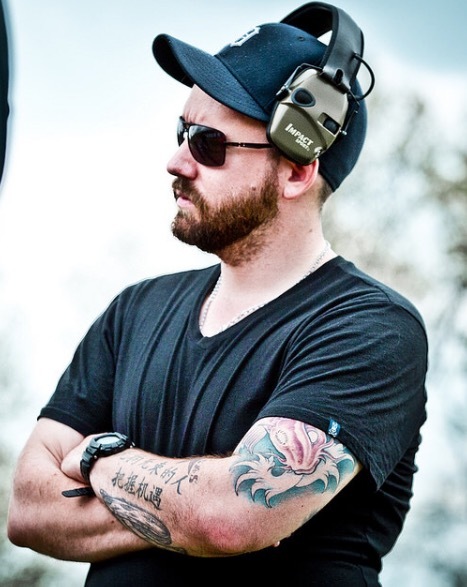 Derek has been involved in the world of defensive firearms training for over 6 years and has been an avid sportsman and firearms enthusiast almost his whole life. He started his teaching path as an Assistant Instructor with Steadfast Applications, LLC. 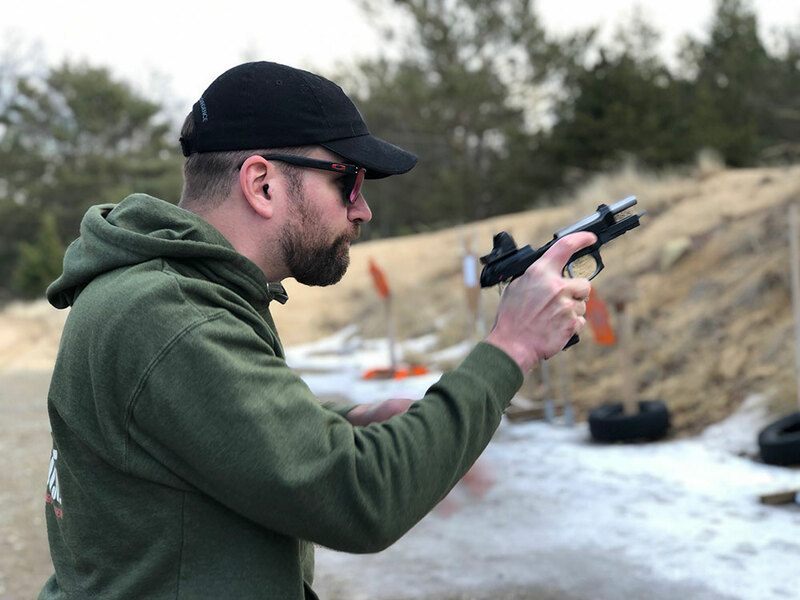 On top of his instructor training, Derek continues to train with numerous regional and national instructors to broaden his skills with the mindset that all responsible gun owners should be an asset to not only themselves and their families, but to society as a whole. And as a bonus, if you ever find yourself in need of "more cowbell", Derek is your man. Thomas is a responsible firearms owner, student, and instructor that has been active within the firearms community and industry for over a decade. 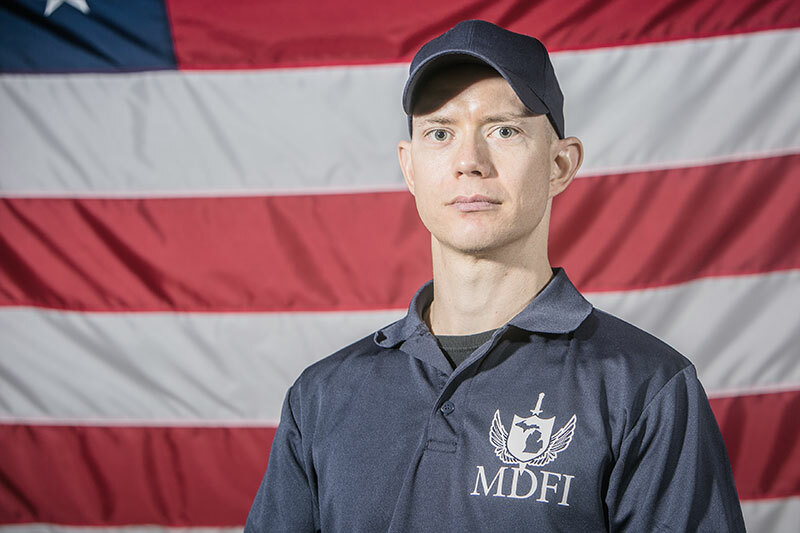 He brings a devotion to teaching, attention to detail and a natural ability to transfer knowledge to the MDFI family. He continually seeks to train with other experts in his constant pursuit to improve his knowledge relating to personal defense. From time to time you may catch a rare glimpse of Tom's "Blue Steel" look when on the line with MDFI.